There are currently 93,895 users on this website. OK So This Is For My First Post About The Ghost Coin. 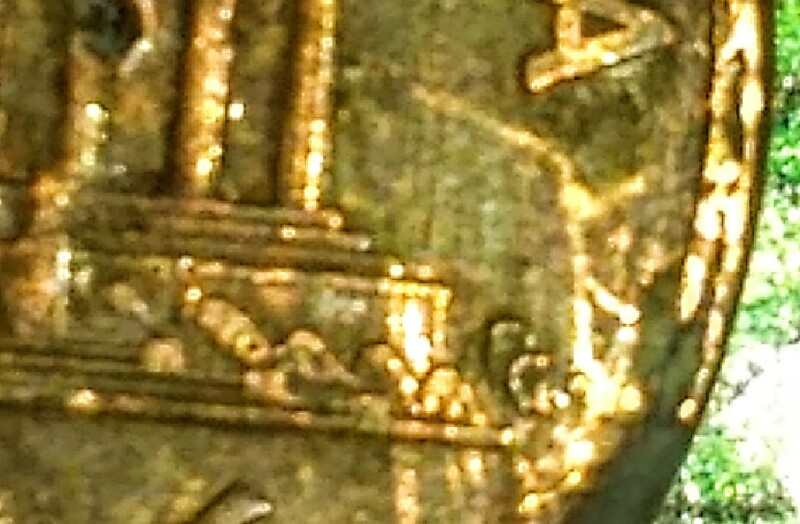 This coin can't be appreciated at this low resolution and size.so much more to look at. The memorial building looks like ghost around the pillars lol. Need better photos,but what I see is zinc rot and a lot of damage. I wish I could show better photos. Neat to look at with microscope. There are several different errors visible. Never seen anything like it. 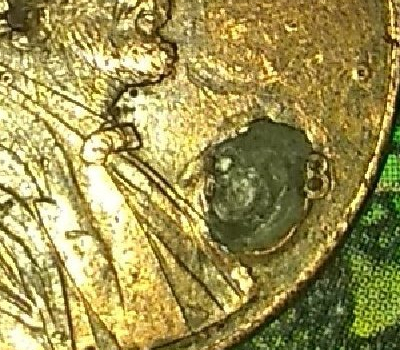 Guys don't get me wrong here, in no way do I think this coin is anything more then something different to look at. You need to veiw it under microscope to really see all the neat stuff, sure these photos aren't great, but look at his mouth, or the spaces between the pillars. Looks kinda like ghostly figures. There is alot of doubled dieing for sure, front and back. Not machine but die. It should be smooth between the pillars, it's just a neat coin to me. Just to much damage t0 warrant a save. 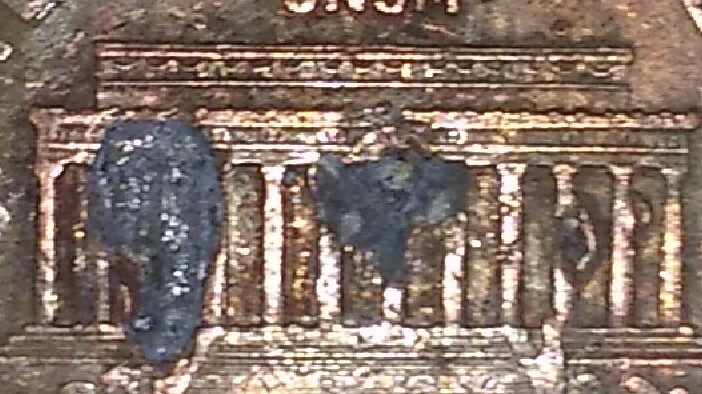 I see a damaged zinc rotted coin. Everything I see is just zinc rot that will just get worse. Spend it while there is something left of it. Cool coin. Lot more rot than I thought. 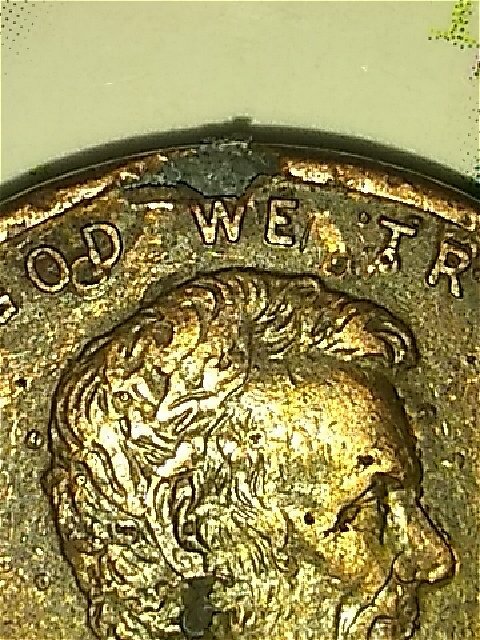 I have a ghost coin too with ghost peaking around the corner of a pillar. But it's just a zinc air pocket bubble. Still cool though. If you can find The Virgin Mary, it could be worth a fortune. Fun to look at though. 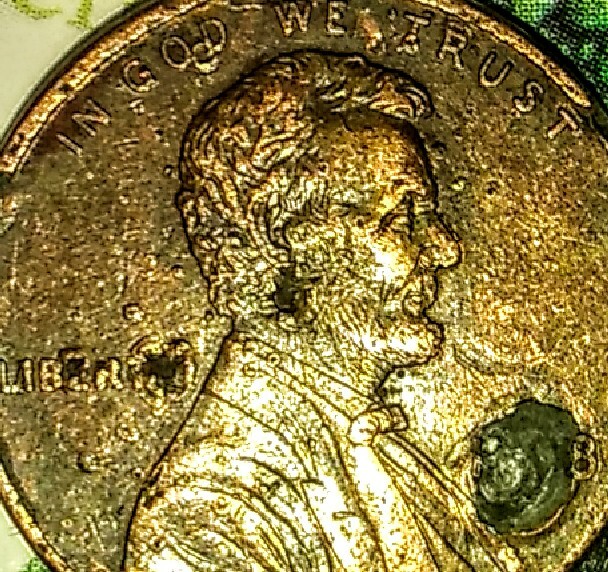 Figured I'd share the ghost coin I came across since this topic was brought up. Just a zinc bubble. Still cool.